A few days after the food shoot in early February, our photographer, Sean, started sending us his favorite shots—a mouthwatering collection of jpegs he had whittled down from a whopping 1,800 photos taken that week. With high-res images in-hand, we began designing the menu pages. Weeks of back-and-forth between the art, finance, food and beverage, and marketing teams ensued. Fights about the proper capitalization of cheeses happened. I usually won. But none of that is exceptionally blog-worthy. What’s really cool is what happens to the menu after we send the final files to our printer in Ohio. 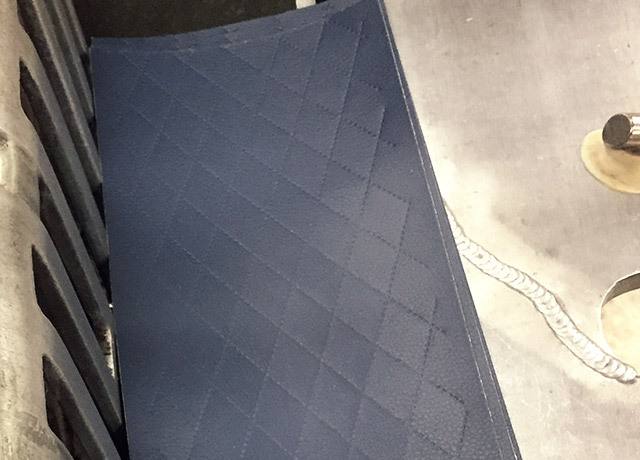 In March, I traveled to LeBronland with my boss, Blake, for a first-hand look at the production of Topgolf’s menu. 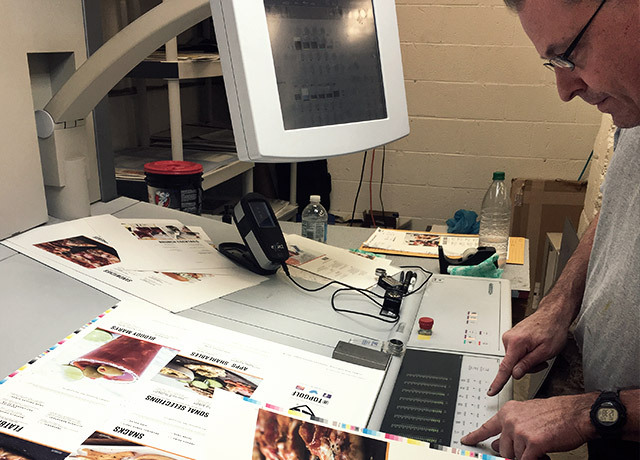 We scrutinized colors as pages came off the press, watched in awe as Cleveland Menu Printing associates assembled the books by hand, and took lots and lots of behind-the-scenes photos. 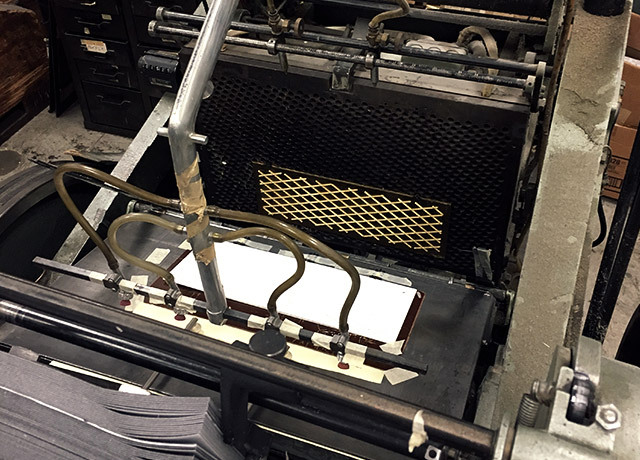 Once the menu is finally approved internally—and everyone agrees that cheddar should be cheddar and not Cheddar—Cleveland Menu takes our digital pages and imprints them onto 24x30-inch printing plates. About six menu pages fit onto each aluminum sheet. 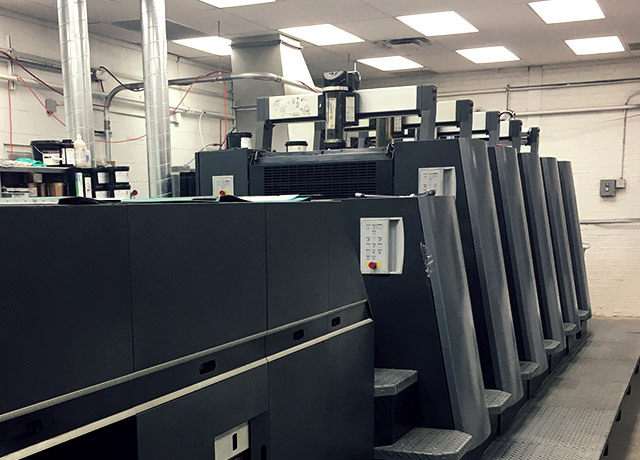 These plates are then loaded onto a massive six-color printing press that spans the width of the production floor. A series of super-technical things happens next. 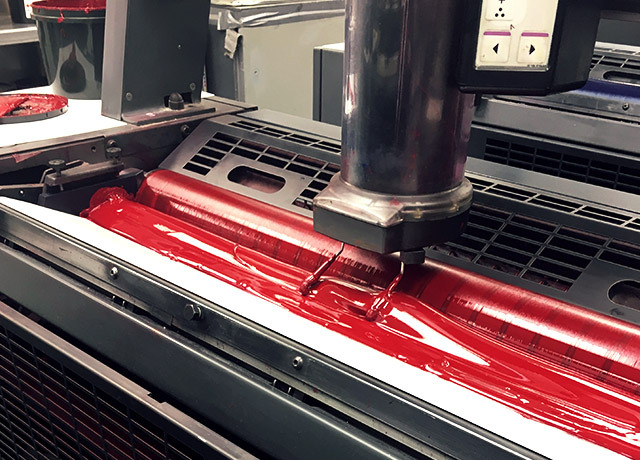 Something about ink adhering to the images on the plates and then eventually transferring onto the paper as it rolls through each of the press’ color chambers. Truth be told, I was so enamored by the pools of shiny ink (that I badly wanted to touch) that the explanation of the inner workings of the machine was lost on me. As pages start rolling off the press, it’s showtime for Blake and me. The color correction stage can be tedious one—you’re literally eyeing every lime wedge and shred of lettuce. But it’s incredibly important. Leave it to chance, and you could end up with a menu full of purple pepperonis or French fries that are a touch too pink. Kip, the keeper of the press, adjusts colors for us on a confusing-looking console. I say things like, “These nachos look kinda dull,” or “This raspberry could be a little redder,” and he knows just the right buttons to push. More seasoned color-checkers, like Blake, instruct Kip to add more yellow or remove some magenta in specific cross-sections of the sheet. 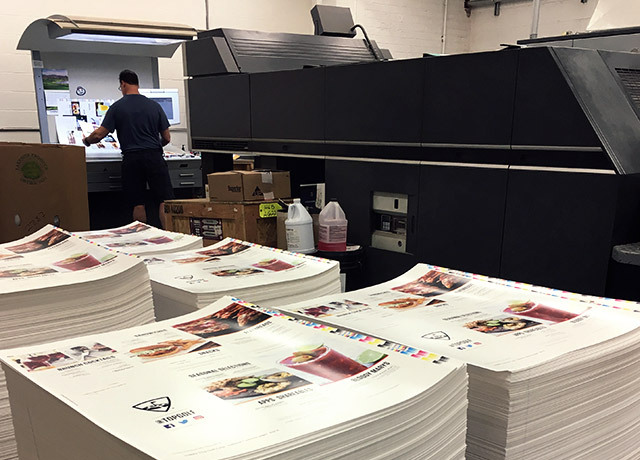 After color adjustments are made, we wait for the press to cycle through several more sheets until the changes are fully applied. 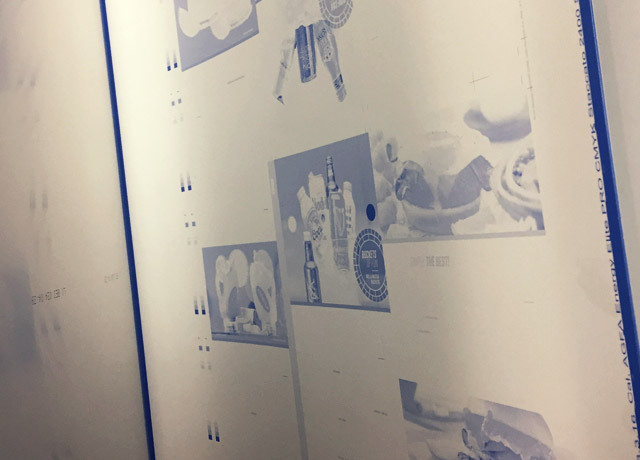 We examine the alterations (often looking at pages under different levels of light intensity to mimic how Guests will view the menu), we make additional edits if needed, and then lather, rinse, and repeat until we’re satisfied with the overall appearance. 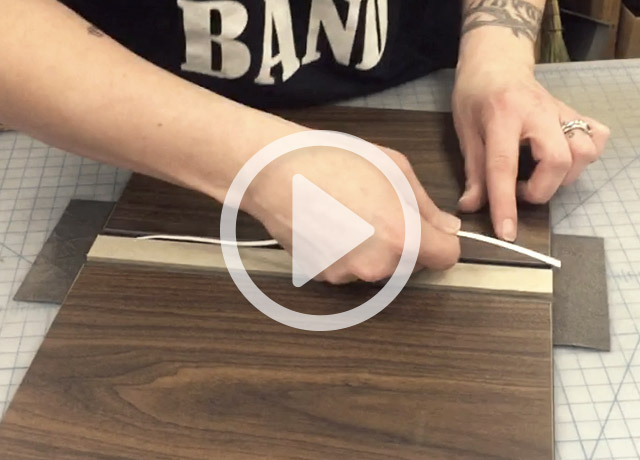 As Pat, our Cleveland Menu rep and the grandson of the print shop’s founder, gives us the full facility tour, I’m blown away by the labor-intensive manner in which every single component of the book is produced. 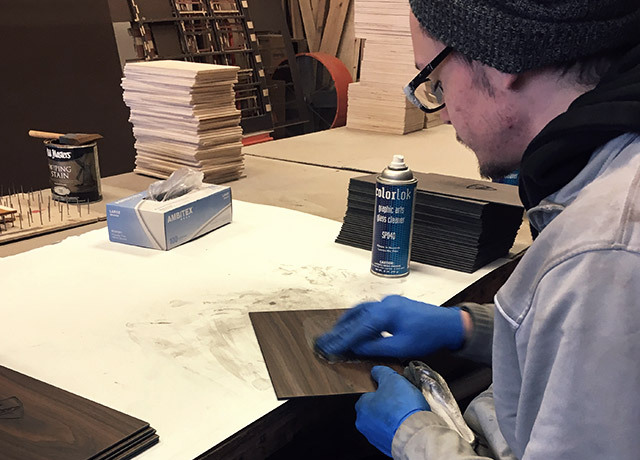 While the press churns out dozens of pages per minute, Cleveland Menu associates are busting out thousands of wooden menu binders (not per minute). 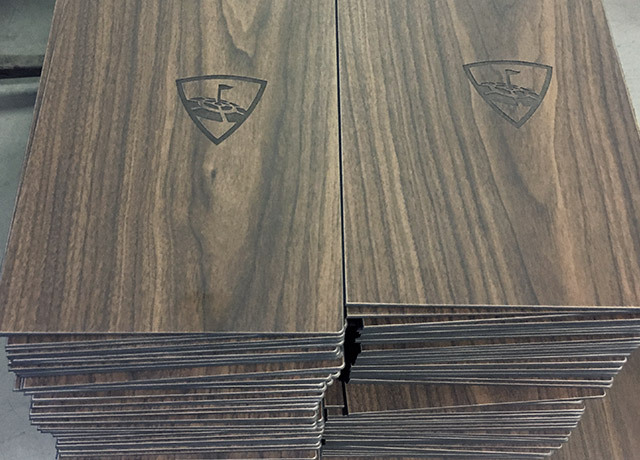 Each cover is cut to size, hand-stained, laser-engraved with the Topgolf logo, and then wiped down using glass cleaner and a white rag before moving on to the assembly stage. 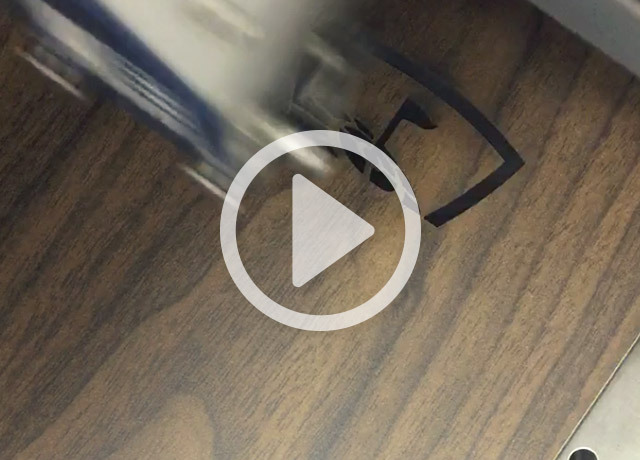 From there, the three-ring mechanisms that just arrived from Austria are drilled into the spines of the book. 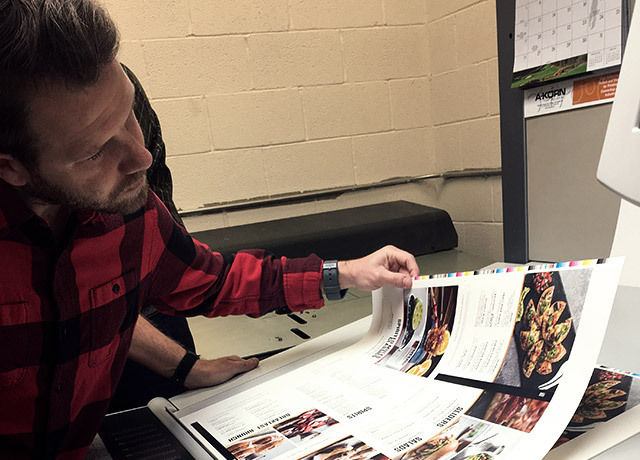 The menu pages are trimmed down to size, hole-punched, and everything gets packaged and shipped to Topgolf venues across the U.S.
All told, the Cleveland Menu team handmade some 21,000 books, and printed nearly 144,000 pages—and counting. As more venues open this fall, Kip, Danyelle and crew will be back at it, engraving plates, lasering covers, and cranking out quality menus to appear in a Topgolf near you. When Ben was 5, he wanted to be a cowboy—and not the Dallas football variety. By middle school, his aspirations had shifted to meteorology. Today, he’s a graphic designer at Topgolf, naturally. 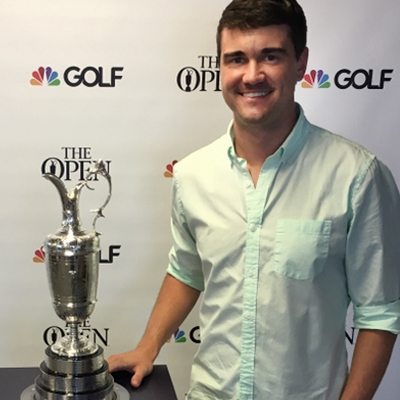 When he’s not “making logos bigger,” this Kansas City native enjoys playing volleyball, grocery shopping, and pursuing perhaps his only goal that has remained consistent since childhood: becoming a contestant on Wheel of Fortune.